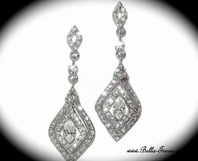 Ramona - Vintage crystal chandelier Bridal Earrings - SALE!! 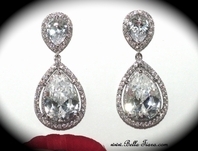 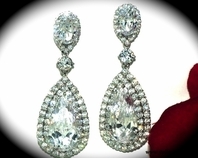 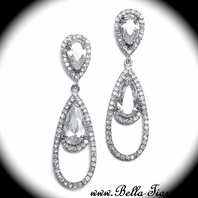 HOME / BRIDAL JEWELRY / Bridal Earrings / Ramona - Vintage crystal chandelier Bridal Earrings - SALE!! 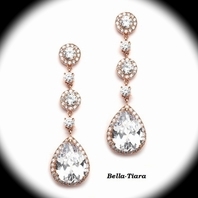 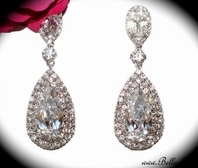 Description: Gorgeous and stunning, these fabulous silver bridal earrings are encrusted with marvelous Cubic Zirconia and feature a large teardrop shaped Swarovski crystal that really sparkles. 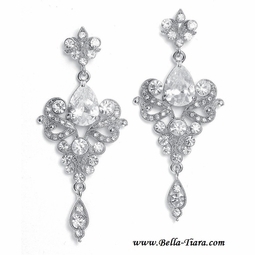 A stunning accessory for your wedding.